My mom, dad, and I were all sitting in the living room when I brought up the subject of Gingerbread Men. I had told Dad that I don't remember a time where I have eaten any Gingerbread Men. He told me that they were good and said that there was probably a recipe on Pinterest for it somewhere. He then proceeded to find one and show me. Of course, I was super excited because it turns out that we actually have all the ingredients for these amazing, fattening cookies. I also have a large box of an assortment of 100 or 200 cookie cutters!! Dad and I both looked at the recipe and he said that I needed to 'get up on that'! hahahahaha I think he's wanting me to make them. :P That's fine with me, because I've been wanting to try them. Since I'm planning to cook for Mom all week, I figured that this would be something cool to make. CLICK HERE if you're interested in where I got this recipe from. 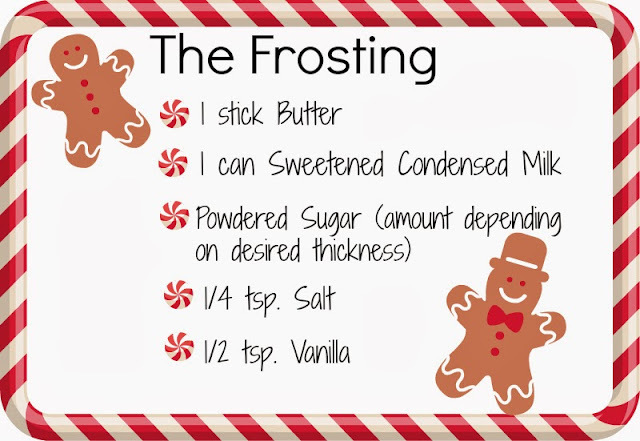 This recipe is a good 'ole Christmasey one! It is soooo good! I also want to say a huge thank you to my little sister for taking these pictures for me. She did such a good job! NOTE: I only left them in the fridge for 2 hours and you really do need to leave it overnight. Since I didn't leave them overnight, they didn't quite form into the cookie cutting consistency. I just used a spoon to put the gingerbread cookie batter on a cookie sheet. They look like weird, malfunctioned circles. hahahahaha I did them in varying sizes just to see what it would be like. They taste good to me though, so who cares what they look like. :) I also didn't use the whole can of sweetened condensed milk. I just put it in there until I liked the consistency. It's all in your preference. NOTE: This frosting definitely isn't AMAZING frosting, but it's okay. 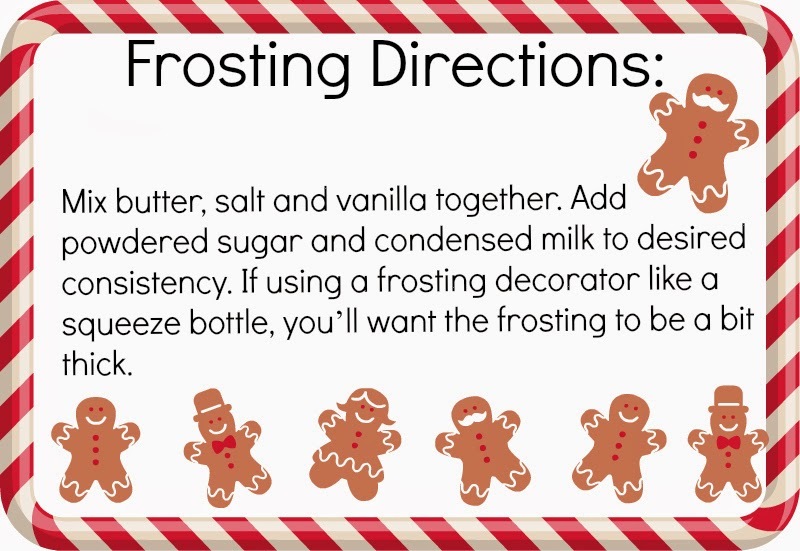 I actually kind of like this frosting with the gingerbread cookies. Something I did extra that wasn't in the recipe was add 1/2 cup of sugar in it because I thought it helped the taste. Like the instructions said above, it's all to your desired consistency and taste. I just played around with it until I was satisfied. 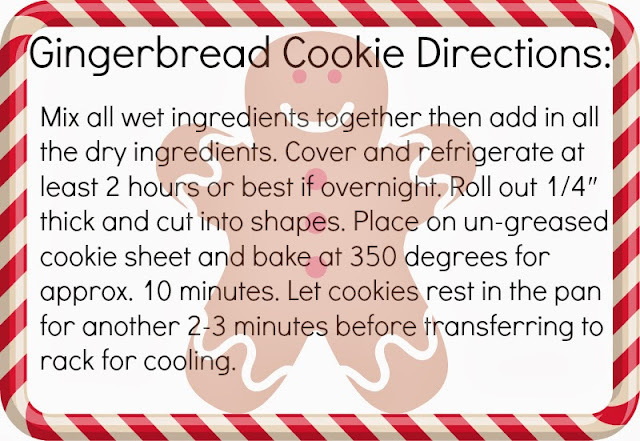 In the future, I'd like to try a different gingerbread recipe and see if it is even better than this one. If you try this recipe out, let me know! I'd love to see pictures!